Protein-Tec - Traust Know How ltd. In processing fish/meat, good quality mince and fall off is always generated. This good quality mince is as good as the product itself, but does not hold the same value or demand the same price in raw form. Likewise, good quality trim can be extracted from certain parts of the bone structure. This mince is also undervalued. Protein-Tec is a process which in several steps can turn this undervalued mince into an easily injectable suspension that will seamlessly integrate with the product permanently. The success Injecting solution with TR 850 Injector! 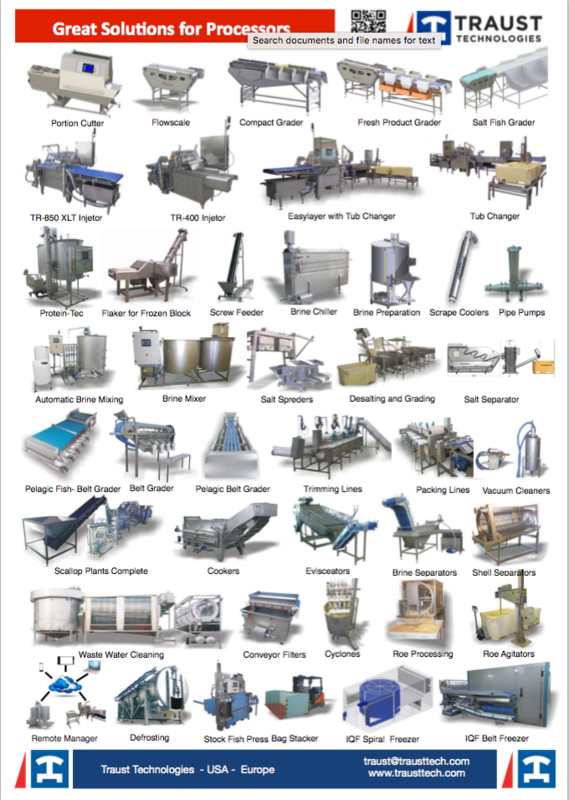 This process is one of the most important and successful in increasing yield in the food industry because it effects a measured increase in yield and raw material utilization. The average gain is about 10-20% incresed yield. In other words the producers have 10-20% more product to sell and the increase in revenue far surpasses any change in variable costs inherent with the introduction of this new technology. Click here to read more about the TR 850 Injector. I want to start by thanking you for letting us visit you last week. It was very interesting and we were surprised how good the quality of the fish was, compare to it was H/G fish frozen in block, to start with. The salted fillets were particularly good looking. Seems you are making good things with the equipment „fish in fish“ and I guess the market accepts your product with this way. When trimming fillet and processing fish, some good cut off will be left over from the process. Also it is possible to make mince and get quality product from parts of the back- bones after the filleting is done. This mince is as good as the fillet itself since it comes from the same area of the fish. EasyInject is a staged process where this valuable product is turned into mince and then reintroduced to the final product via incetcion process. 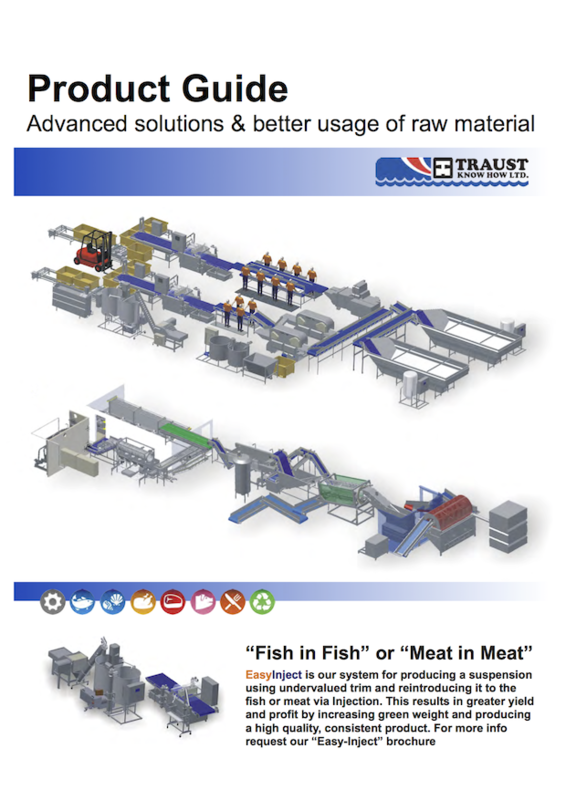 Read more about Protein-Tec "Fish to Fish"
New “Fish in Fish” processing line. Read more about New “Fish in Fish” processing line.